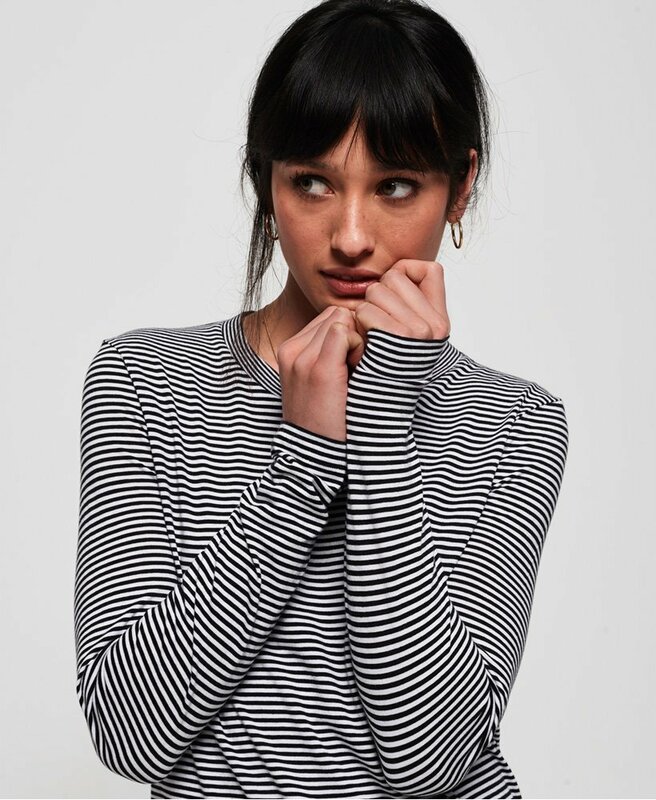 Superdry women's Premium long sleeve top. Crafted from a lightweight cotton/modal blend this long sleeve top is sure to be an essential for your wardrobe. Featuring a classic crew neck and finished with a Superdry logo tab on the hem. A perfect piece for layering this season.